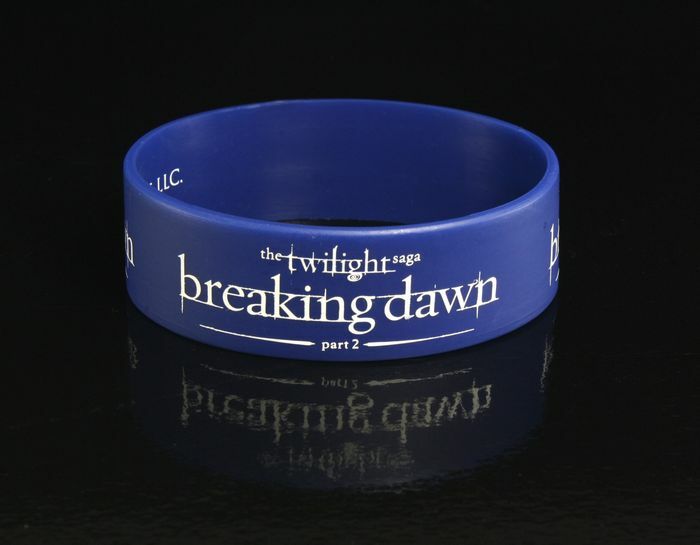 Super stretchy rubber bracelet is 3/4″ wide and features the Breaking Dawn Part 2 logo on a striking blue background! Perfect for the Twilight fan who likes to show off. Durable and comfortable, so you can wear it everywhere.